Phantasy Star Online for Dreamcast was a genuine revolution: the first-ever online RPG for consoles, it boasted an advanced translation system, free online play and stacks of action. The GameCube saw Phantasy Star Online: Episodes I & II that expanded the original game with all-new areas, weapons, monsters and quests, but never really took off owing to the inherent difficulty getting the 'Cube online and the introduction of a monthly fee for gamers, and a similar payment problem befell the disappointing Phantasy Star Universe. Since then the series has struggled to fulfil its Dreamcast-era promise, but the all-new Phantasy Star Zero for DS aims to become the ultimate entry in the online offshoot of the PS series. In some ways it delivers, but in others it's sadly lacking. One of the major criticisms levelled at Phantasy Star Online, to which this game undoubtedly aligns itself, is the lack of a coherent story, and PS0 tries hard to address this. 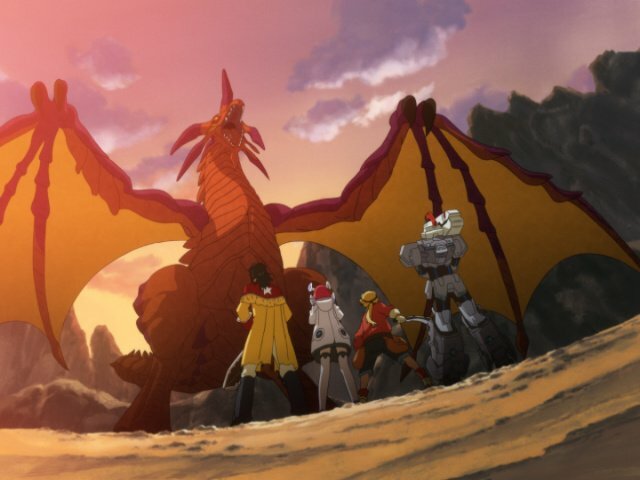 Featuring some good quality animated scenes and plenty of dialogue - all skippable, impatient fans - it sets up the tale ahead nicely, and there's some decent dialogue between the characters. It's not the most gripping of plots but it has its moments, and there are some amusing sidequests along the way, but anyone looking for a great literary experience may want to look elsewhere. 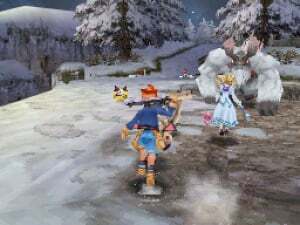 Of course, the main draw of PS0 is the online mode, offering four player cooperative play over the Internet, a mouthwatering proposition for DS owners. There's no lobby system, with a quick matchmaking option setting you up with strangers for questing or exploring the field. The lack of lobbies hurts the game's social side, always a big draw from the previous versions where players would gather to chat as much as fight. The gameplay itself is quick and relatively lag-free, although finding a game can take a few minutes even at busy times. When partying with strangers, you lose the Visual Chat function but can still communicate via some quick text choices, although there's no way to add a gamer you've met through matchmaking due to Nintendo's stringent online rules. You can rate players however, which alters the likelihood of meeting again in future, but there's nothing as solid as a Guild Card, unless you use the Friend Code system out of game. Whether online or offline, the focus of PS0 is firmly on action. All the combat is real-time, with an "action palette" allowing you to customise your face buttons to play to your strengths and stronger attacks and techniques available by charging the buttons. It's a streamlined system but you're missing the ability to switch weapons and use items from the menu on the fly, meaning you have to pause to swap weapons or organise your palette. It's not a huge downside but it does disrupt the flow of combat and is one feature from PSO: Ep I & II that would have made life a lot easier. The lack of hot-swapping is probably down to the limitations of the DS's controls, and it's not the only aspect of the game that's hindered by the machine. The game is graphically rather accomplished, with good flourishes of animation and some enormous enemies filling the screen. In fact, it's really a game that needs larger screens: even with the DSi's size, your teammates take up too much of the screen, a problem exacerbated by the use of speech bubbles, cramping the visible space further. The game's big-screen roots are obvious, and try as it might PS0 never really settles into the handheld. The touchscreen is underused, displaying the status of your character, team and target, with a map icon to tap and the ability to send messages to friends in the online mode. Although we should be grateful SEGA didn't decide to lumber us with a gesture-based magic system, it still feels like a missed opportunity: arranging quick-swap inventory items and using them from the bottom screen would have been a welcome feature. Avid Phantasy Star fans will be pleased to see the return of favourite weapons, items and enemies, with Rappies, Meseta, Hilde variants and more all present and correct. 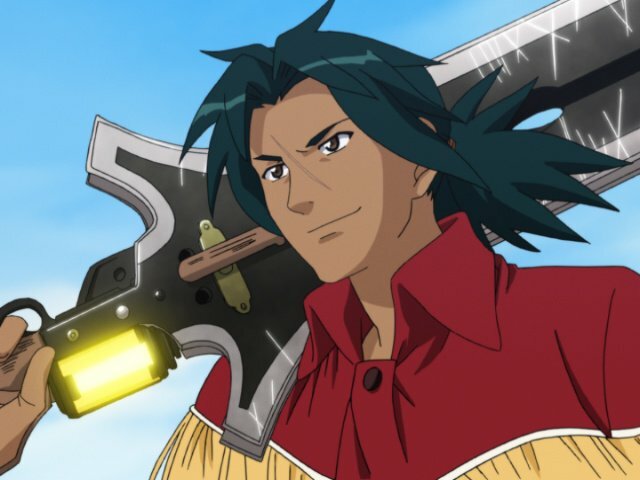 Rangers, Hunters and Forces are all available in various forms, though there's no option to play as a Beast from Phantasy Star Universe. The sound effects and music will be very familiar to series veterans, giving the game a very PSO-faithful feel that's enough to make loyal followers overlook a few of its smaller issues. 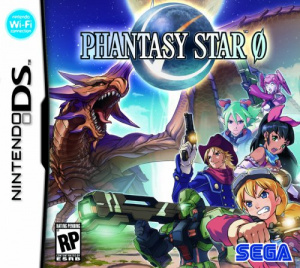 Phantasy Star Zero is a brave and bold attempt at an action RPG for the DS, and its online features and size make it an enticing proposition. The inclusion of innovative features such as Visual Chat, the abundance of action, some witty dialogue and the presence of many traditional Phantasy Star elements help to secure this a decent score, and there is a lot to enjoy. After spending a few hours with it you begin to understand and accept its control limitations, but it's hard to shake the feeling that the game's potential is let down by the hardware itself. I wanted to like this game so much more that I did....I just got bored really fast. I suppose if I could play it online I might like it more, but solo-ing was pretty monotonous. I just wish Sega would make a Phantasy Star V. I just prefer my RPG experiences to be of the solo variety. I've been waiting forever for this review. I like it, but in the solo mode, the boss battles are way too challenging. But online is a blast! I would give it about an 8/10. Great review! I love this game, that said, i was a huge fan of PSO. It was exactly what the doctor ordered, and i for one think it is an excellent experience in its own right. Dialouge speed up button is a huge plus, as i am just interested in the gameplay. I'm with you Corbie, I really wish that Sega would just make a Phantasy Star V. I didn't pick this game up but I still plan on getting it some day. Maybe when it drops in price. Thanks for the review Prosody. Very nice work. I got this game first day. I even pre-ordered it. I love PSO and I've already cleared the game once. This IS an online game (duh) phantasy star ONLINE, so if you're not planning to play countless hours of packed action online, then you might want to reconsider this. imo it's way too archaic. I haven't played it that much, though, and I might give it another chance before selling it. Like so many others, I'm a Phantasy Star fan and enjoyed PSO. I haven't picked this up, yet, but I am looking forward to it. I just wish I could convince some of my friends to pick this up, too. That's not gonna happen, though. ....if only my DS's top screen wasn't broken, so I guess MH3 will be the choice. Imma gonna go with this. If it's anything like Phantasy Star Universe, I'll like it. This game is a lot like PSO, and I love it. Yes, the single player is monotonous. The game is supposed to be played multiplayer. The fact that they at least have a full story mode for single player is a huge improvement over PSO (which was basically a string of quests which eventually revealed the story to you). I mostly agree with this review and I think the score is fair, though I'd personally give this game an 8 because of its nostalgia value and it's an absolute blast multiplayer. I still haven't tried online, but what I've played so far reminds me very much of old PSO, beit with some features lacking I think they did a great job for the little handheld and would give it an 8. I'm a huge PSO fan too and I was really, really excited about this, but sadly it didn't live up to my lofty expectations. I understand it's meant to be played as an online game but things like the lack of lobbies and such prevented it from reaching its potential here, I think. 7 is the right score here. The interface is just a huge step backwards from PSO/PSU. They used the touch screen for maps, it would've been SO EASY to have a tool belt like every action RPG since Diablo has had - stick a couple buttons you can tap on the bottom screen for weapon swaps or item use. Or just give a third hot-button set to cycle through. The game took absolutely no steps forward from PSO/PSU, and took about 2 steps back. I never played any other Phantasy Star games, so I decided to buy this when I found out about how the multiplayer was handled. It is indeed a blast! I played the GCN version of Phantasy Star and I was honestly bored. Seeing a 7 is giving me doubts about buying this game. I dislike how easy these games are getting. Phantasy Star games are always really monotonous solo, and great online. A 7/10 sounds like a perfect score. I LOVED playing PSO online on my Gamecube (that's right, I have a Gamecube broadband adapter - one of the hardest things to find in my 20+years of gaming!) and in split screen with my sister, but by myself the game was a bore. While I'm interested to see the DS pull this off, I'd much prefer seeing a new Phantasy Star hit consoles. That's why I'm looking forward to Monster Hunter Tri - besides the different theme (trading sci fi for ...prehistoric, sort of? ), it's practically the same deal. I'd also like to see SEGA do a new single player Phantasy Star - either with Tri Ace, since they did End of Eternity for SEGA, or Obsidian. I think a western take on Phantasy Star would be really cool, though obvious, Obsidian shouldn't do the character designs themselves. PS needs to rock that 80's anime aesthetic. I'm definitely gonna get this, if I can't find a copy of Blue Burst. PS0 class system and ability to create different types of characters is always fun. Online mulitplayer is where the big deal of this game lies. It's where it can be one addictive game. The only thing id say bad about this game is the signle player isnt as interesting and the game overall has a archaic (sp?). feel to it. I actually hated the whole story line thing and the skippability of those damn scenes was annoying. the skip took to long and the story sunflowers took away from how many quest could have been online. there are so few which is ashame. I wish they would have made this game on the Wii. Then it could have did alittle more.